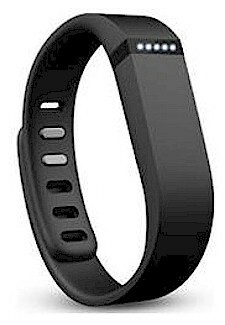 The Fitbit Black Flex Activity Tracker Wristband Smartwatch is on sale at Lord & Taylor for $79.95, but enter promo code NOVEMBER at checkout and that price will drop to $63.96 with free shipping. Description: Never stop moving with this sleek wristband, which tracks your steps, distance, calories burned and also monitors sleep cycles. Upload your stats wirelessly to select mobile devices; getting fit was never this easy.